WBO ordered a title eliminator fight between ranked no. 22 bantamweight in the world Arthur Villanueva vs ranked no 5. Zolani Tete of South Africa. 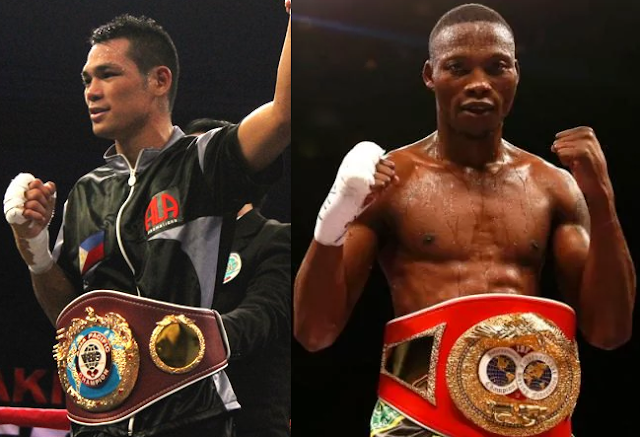 Zolani Tete promoter shows interest and they immediately begin negotiations with Villanueva's promoter ALA Promotions. The fight would possibly happen on December if both parties agreed. Tete with the record 24W(20KO)-3L is the current IBF International bantamweight champion he defeated a lot of great boxers including Paul Butler, Teiru Kinoshita, Juan Carlos Sanchez Jr and Jether Oliva. A world class and a hard hitting boxer from South Africa. Tete is also a former IBF World super flyweight champion. While Arthur Villanueva 30W(16KO)1L is the current WBO Asia Pacific bantamweight champion winning his last 4 fights and only to lost to McJoe Arroyo for the vacant IBF World super flyweight championship. If both boxers met, the winner of this fight will face the current WBO champion Marlon Tapales of the Philippines.